^People aren’t stupid but your mom is wise. Sparkles is always, always “on” and it’s exhausting to watch. Look at me, look at me! Personally i find her gorgeous and extremelly elegant.Love all her looks so far!Shes also very interesting and i cant wait to see her as a royal.If she keeps on working hard, bring attention to important causes and making good to people, dressing apropriatedlly, not causing any scandal, to me thats great already.So far thats what shes been doing and i cant complain about anything at all.Maybe theres too much exposition but it would be in any way.And im glag shes doing things diferentlly from protocols and instead of focusing on silly things about wedding only, shes also out there working on her image, trying to build this hard working royal image.If this is for real and genuine time will show for sure so i wouldnt worry much about it now anyway. As for her using the "race card" as some keeps saying, well shes half black and shes marrying a royal and unfortunatelly racism is real! !It does exists and only those who suffered it knows how horrible it is.I dont think people realize how awfull and serious such issue is unless they had felt in theyre own skin how it is.So i dont think shes using it to benefit herself and her image or in vain.Racism is real and shes actually suffering a lot of it.Just check the comments about her and her familly to see!!! !If she uses it in vain it will show and it will have consequences dont worry but so far i dont think thats the case at all.If theres someone using the race thing in theyre favour is the RF not MM. Latelly it becoming a global issue that has been very discussed especially coz of the whole imigrant crises and many people coming out to show theyre true colors about the issue the cases of racism had raised absurdlly.Just reading the DM out of 50 articles 40 are about racism!One of the news talks about a politician wife making horrible offenses agaisnt meghan coz shes black.So yeah it is very important for her as a black person,as a human and as a future royal to talk about such issues and get envolved with causes that promote good things for everyone! I dont really think people realize how such a problem racism is and how important it is at such times for people to have role models like this.It might not mean much for those who are white or whathever but as it was shown on the event, and why not say since this engagement was announced, it matters a LOT to those who are black to FINALLY have a royal they can related to.For the first time EVER black women and girls all over the wolrd will finally have the chance to see a REAL black princess getting married to a prince!Thats a lot for these people honestlly and not something to be made less. camila, I disagree with you on so many points that I'll list them all. The firm is not a corporation and doesn't need to or have to have minority representation. They are a real family. If a minority representation was to be the criteria of who Harry falls for then indian descent would have been a better representation, not black descent. The world does not revolve around the slavery of african-americans in US. The world does not owe african-americans pity, tiaras or crowns for this purely american issue. Europe has darker skinned Europeans and there is no racism towards them. We had arabs in Spain and Portugal, mongols in Central Europe, turks in Eastern Europe. The only left white skinned european nations are the scandinavians and the russians. I'm not including UK here because it has been generously inclusive of and welcoming of people from commonwealth countries. The scandinavian countries also have a very generous and inclusive policies towards foreigners of all kinds of backgrounds and I know that a lot of people love it there despite the climate. The migrant issues are issues NOT of race but of intolerance and nonacceptance of someone coming into your house and demanding that you follow their religious rules. I don't know where you live camila, but let me tell you - there are no religiously styled jews in Europe, there are no indians walking in sarong in Europe (except tourists from India). This is what Europe is all about. Merkel welcomed the migrants but she's welcoming workforce not whiners. Whining and trying to achieve something or to get ahead in life with using the race card is a faux pas in Europe. That said - Meghan doesn't have to do her whining about her race a world's problem. Her issues are her issues and no one wants them, the world does not want her issues dumped on them. In Europe there is no racism. Prejudice - yes, but not racism and these two should not be used interchangeably. Meghan is not representative of black people anywhere in the world. I voted for a black president because of his qualifications for the job, not because of his skin color. It is very dangerous to think that just because someone has the right skin color they are all set for representing certain types of issues. That's pretty much the definition of racism, I think. I also have to disappoint BUT there are already black monarchs. They are in Africa. Why didn't Meghan try to modernize them with her half-white heritage, you know, the one she associates with all of the time, except for when it suits her. I'd like to see your point of you on that but for me - her skin color is white, she associates with only white people, she's finding it very convenient that her mom is half black and thinks that she'll go all "look at me, my mom is half-black and therefore has suffered, now the whole world owes Me-me-me". She's not modernizing anything. Harry points to her where the rented crowd is every time. The black woman who loves her - excuse me, but why does she love her exactly. The black women I know think that Meghan is yet another Omarosa and to me she most definitely is. Besides - let's not forget, we know so far her heritage from her mother's side until great-grandmother. Each one of there women had married a white guy (opportunist much). Therefore, Meghan's mom is technically 1/4th black if we assume that her grand-mother was 100% african-american. That will mean that Meghan is 1/8th black. Only 1/8th. That's 12.5%. If she takes DNA test she'll probably show much less of the heritage that she conveniently parades for sympathy and for personal gain. And lastly - I am far from invalidating that lots of people have suffered prejudices in Europe and racism in US. To me the way forward from prejudices is with having our kids at the same playground. This is massively done in Europe and the people of tomorrow will be even more accepting and inclusive. The past cannot be deleted or changed. It's very wrong to think that by whining and demanding repatriations a wrong can be turned into a right. To me Meghan represents everything that is wrong about such issues as prejudice and racism. The firm is not a corporation and doesn't need to or have to have minority representation. They are a real family. In my opinion they do as they live of public opinion and as the wolrd changes so should the royals.The royals lives of good PR it wouldnt do them any bad to actually have someone from a minority among them. Obviouslly Harry havent chose this women based on this, at least i hope not, but clearlly he marrying a half black person has a weight and a representation of the entire RF. The wolrd is changing and Britain among many other nations is multicultural.So yeah its nice to have a new member who represents some minority.And i bet that all minoritys would feel represented by someone who is diferent and brings attention to them as well as topics that envolves them and are not usually discussed since these people are not part or included among the royals or aristos. Its like Disney princess.Every girl should have a princess to look up to.If u know what i mean.Today they have but it wasnt always this way.Things are changing coz the world is changing.So are the royals! "Oh look theres a black women in the royal familly" it may sound ridiculous as some still believe racism dont exist but reality is diferent and in the real world yeah thats something.Obama wasnt just a president he was a BLACK president he may not had been to u but he was for millions of black americans.Just like trump is for millions of white americans.To me is bs to elect a president for his colour or like a princess for her colour.Or chose a politician for its genre but it does happens and it does represents people.It does has a weight and thats what im saying.He wasnt elected coz of his color but he had a big weight because of his colour. Trumps wife is from country in europe and there shes worshipped coz shes the only famous foreigner of such country i guess.Shes married to an american president.So yeah it does makes a diference.If harry married an indian women it would have a weight for all indians.If she was from russia for all russians.If she was south american for all latinos, asian for all asians.It does matters for these minoritys and it is of importance and interest of the RF to keep up with such matters so yeah it does matters!! !It does makes a diference! Europe has darker skinned Europeans and there is no racism towards them. Totally disagree.Only someone who had never suffered racism or saw it happenning to someone else can say this.It happens everyday all the time. A LOT!!!!! There are thousands of interviews with people who suffered it.Thousands of videos that shows people suffering racism everywhere in public places actually.Just look for it u may be surprised and chocked with how much of this is real and happens and how awfull it is. I also believed racism didnt existed and people who were constantlly talking about this were talking bs being boring.Until the day i suffered it myself and believe me it was real and one of the most traumatizing things ive ever been through.One of the saddest days of my life.Theres no words to descrive the feeling of being treated as *poo* because ure not white or dont look like ay other local from a country.Coz racism can happen anywhere with anyone.Black, white, native, indian, arab...U can suffer racism for being white too depending on where u are.Racism is bad for everyone under any circunstance. In Europe people tend to be more reserved and dont talk much about such things or how they feel.There are also lots of rules and laws that stops people to talk about such things or express such opinions.Dont mean that it doesnt exist and people dont feel it.With this whole crises were living with mass imigration and politicians being openlly racists people are becoming more and more intolerant and feeling more and more confortable to put such racists opinions out. 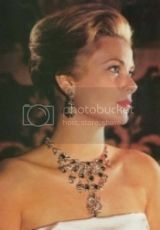 Even in royal circles that are a lot of racism.Recentlly princess Michael of Kent used a racist brooche to kinda of show how unsatisfied she was with having a black person on th RF.Just so u see it does exists and it happens everywhere all the time and many diferent ways.Now imagine how it was for M to watch all this.She may not even had noticed at first but seeing the news thats so mean and humiliating honestlly.Thats why i keep sayin deslike the women but dont invalidate acts of racism as nothing simply coz u dont like her. I agree and disagee.I do believe is both.Again ure being very naive to believe that this minoritys dont suffer racism.They do.For everything especially for not being white.I travelled to europe a couple of times and once with my friend ( white, red haired and blue eyed) we backpacking through some countries and all the time people asked me if i was from india or arab and i always got stuck in airports asnwering questions and etc coz of my SKIN COLOR while my friend who was from the same country as me and with the same social, economical condition, visa, documents, never went through any this.Thats when i started to learn what racism is coz yeah my dear thats pure racism and it happens everyday everywhere!!!! I dont think there would be any problems about imigration if these imigrants were all white and blonde from austria,australia,norway or sweden for example even if the same issues were happenning.Europe has been a mess for a decade now receiving millions of white imigrants especially from poor european countries in the east as well as broken economies like portugal and greece for example.These peopleare econmical imigrants and are by millions in europe but imigration only turned out to be a problem when certain imigrants from specific poor non white countries started to imigrate.So to me it does has to deal with race more than with anything else. Not saying there are no other reasons.Religion especially is a big issue regarding a few stuff but mostlly its based on race. In some cases theres the reverse racism as i said before.These people dont really want to mix with the locals and this end up creating a bad vibe among them.I know coz i lived in germany for sometime and i always though they were racists against the arabs, turkish but living there i saw it was the opposite.german are the nicest and fairest people these groups/comunitys tend to recluse themselves and end up creating an unnecessary distance and feeling between them.Still dont mean the prejudice and racism dont happen at such places. Whining and trying to achieve something or to get ahead in life with using the race card is a faux pas in Europe. Now i totally disagree.Dont confuse lazy people trying to get advantages with people suffering racism! U wont know what racism is like until u feel it in ure own skin.I though it didnt existed until i was once expelled from a restaurant in russia coz im not white.At first i didnt understood what was going on but my friend (asian) who probbally had been through this many times told me "lets go, lets go they wont serve us" while the ladies on the counter laughed histerically and waiters were showing us the exit door.Im not whining about it or trying to play the victim.It happened it was real and it really hurted.Even writing this bring tears to my eyes.It changed me forever such heavy and awfull that situation was.I would never treat a human being like this no matter what.To think this is nothing compared to what my friend and so many other people across the wolrd has passed due to racism just for people to say its whinning and a faux pas is pure ignorance or just cruelty. Meghan doesn't have to do her whining about her race a world's problem. Her issues are her issues and no one wants them, the world does not want her issues dumped on them. In Europe there is no racism. Prejudice - yes, but not racism and these two should not be used interchangeably. Again ure being naive if u think racism dont exist and why shouldnt she bring her issues to her life and her role?Doesnt many royals use important causes to them related to theyre personal issues to do royal duties?The princes and theyre relation with Africa coz of theyre mother, Harry with dislexia?Eugenie with that healthy issue she had.Why should she deny her race and want to get envolved with causes about this if shes a black person herself and had probbally faced situations that envolves racism?? ?I say more power for her to use something thats important to her and that probbally had affected her life and try to use her position as a public person to chance something in the wolrd for a few or many people.Coz u may not feel represented by her but many will! I agree with u that just being black dont make anyone representative of anything especially if this person dont have a good profile.Wich is not her case as far as i see.Shes a beautiful, well educated black women who worked hard on her carrer, grew as a person and professional, achieved a lot and now is becoming a royal.Thats a lot to admire in my opinion.It may not be everyones opinion but for sure many does thinks its a lot.As far as i see and the public shows whenever shes out and about in royal events many people like her already and if she turns out to be a good royal i do think she will become representative of many people. I also have to disappoint BUT there are already black monarchs. They are in Africa. I know there are other black royals and aristos.But none of them will have the importance and exposition she will.Thats why when i say she will be the first black princess im referening to the importance of the british royal familly in the world and the publicity it will create and how many people will be affected by this.People from all colours will see this women suffering racism and fighing back being defended and will feel empowered by it and will want to help.And again this is all great PR for the RF just saying as obviouslly they will try to defend her and fight against it.Lets not forget that theyre kids wil probabblly be black as well.Royal black people by blood and i wonder what people will say when these kids started being atacked for theyre skin colour.Are they using the race card as well? Why didn't Meghan try to modernize them with her half-white heritage, you know, the one she associates with all of the time, except for when it suits her.I'd like to see your point of you on that but for me - her skin color is white, she associates with only white people, she's finding it very convenient that her mom is half black and thinks that she'll go all "look at me, my mom is half-black and therefore has suffered, now the whole world owes Me-me-me". She's not modernizing anything. Hard to answer when i dont know her or how she feels.Fact is she is who she is and racism exists.U cant try to invalidate this simply coz u dont like this women or think, believes shes using racism for her convenience.I dont agree or disagree with u on this.As ive said i believe time shows everything and if shes using her race for convenience and as an excuse it will show clearlly, especially for black people, and it will have severe consequences for her and for the royals too.Thats why i wouldnt worry much about it coz time shows everything. I agree shes not modernizing anything and i dont think she had the obligation to do any of this if thats now what she wants anyway.That dont mean shes a bad person.What if shes just a good royal and wife, mother? Besides - let's not forget, we know so far her heritage from her mother's side until great-grandmother. Each one of there women had married a white guy (opportunist much). Therefore, Meghan's mom is technically 1/4th black if we assume that her grand-mother was 100% african-american. That will mean that Meghan is 1/8th black. Only 1/8th. That's 12.5%. If she takes DNA test she'll probably show much less of the heritage that she conveniently parades for sympathy and for personal gain. Besides i do agree with u on this as i also think shes more white than black and lives a life more as a white rich women than a black normal one.It doesnt change the fact that shes half black and she had been suffering racism from day one coz of it.It also dont change the fact that if she decides to use such racism as an excuse, convinience theres nothing people can do about it coz well its not like shes lying.Racism does exists and shes an esy target and victim of it.Just today theres a front page article at the DM talking about it.So yeah until it becomes clear through her actions that shes using the "race card" as its called, she is a victim! Racims is wrong, is cruel and is also a crime by the way.If people are atacking her and offending her for being black i dont care who she is and how she is she has all my support to fight back this *copulating* pigs *jerks*. And lastly - I am far from invalidating that lots of people have suffered prejudices in Europe and racism in US. To me the way forward from prejudices is with having our kids at the same playground. This is massively done in Europe and the people of tomorrow will be even more accepting and inclusive. I agree with u and i add that thankfully for every racist person there are thousands of good ones.So theres hope for change.Always. To me Meghan represents everything that is wrong about such issues as prejudice and racism. I respect ure opinion but i think diferent.As ive listed dont think she represents all thats wrong.I think shes being victim of racism and hated simply coz shes not what people wanted or expected. Theres a lot of overreaction and it did happened to all others royal gfs and they survived.She will survive too and i believe she will be a good royal.If she will change something or be a role model for someone it will depend on her actions.Again time shows everything and if shes lying or using the race card for convenience she will have a huge backlash and it wont be nice. ^Please don't double post. And waaaaaaaaay off topic to all latest posts.^, ^^, ^^^, ^^^^. Where do you get the history of Megan's mother side of the family and the white men they married. I find it hard to believe her mother's only a quarter black but it could be but it should be. Again where do you get that information because I'd be curious to read it. But again I want to reiterate as I did on another thread I don't think her Race Matters one bit no matter how much black white or any other color she has in her. Her sincerity matters and I don't think it's there. Plus she needs to learn how to comb her hair at all functions and dress appropriately for the function. That she has not learned yet. ^Some info in here. Lots of mixed race in the family. It appears that Doria’s parents were white and mulatto. Ariel, that was a very excellent post. In Europe there is no racism. Prejudice - yes, but not racism and these two should not be used interchangeably. This is what Megahna na d her supporters don't get. It's her merky background, shady character and narc behavior is why she's not liked, not her skin color. I believe it is very naive to say there is no racism in Europe. There is DEFINITELY racism in Europe.